(June 18, 2015) We can't wait for tonight's free #TBT Throwback Thursday Concert. 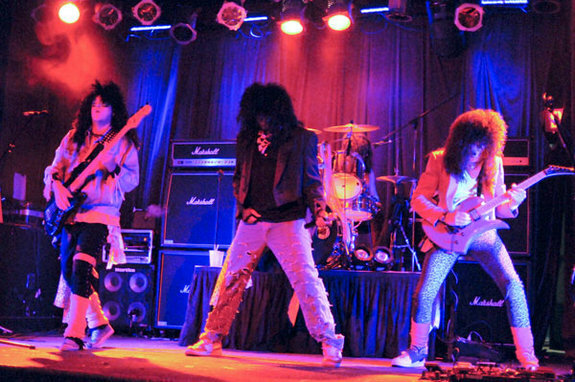 This week, Toxic Mouse brings screaming guitar riffs, power chords and big hair to Freedom Park as they rock out to the best of '80s metal. If AC/DC, Mötley Crüe, Def Leppard, Guns N' Roses and Dokken are your thing, you're going to love this performance. Toxic Mouse is a Washington Post Editor's Pick in their Going Out Guide. In a recent review, the Post praised the band for not taking themselves too seriously ("They know their material is rich with opportunities for satire, and they're in on the joke"). Some of their best covers include Mötley Crüe's "Home Sweet Home," Def Leppard's "Pour Some Sugar on Me," Van Halen's "Panama," Scorpions' "Rock You Like a Hurricane," and Twisted Sister's "I Wanna Rock." Watch them perform here. WHEN: Thursday, June 18, 2015, 6:00 p.m. - 8:30 p.m.